[Shell to Sea] It is interesting to note that 2 out of the 20 recommendations that the UN Special Rapporteur on Human Rights Defenders made for the Government had to do directly with Corrib. 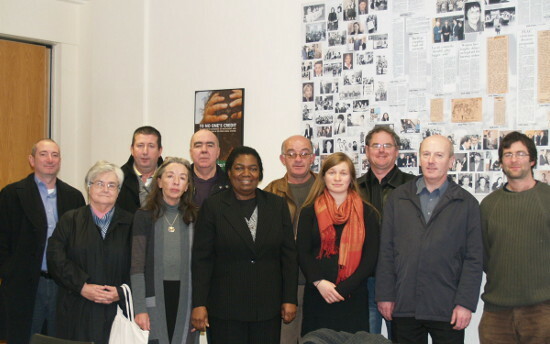 Last week Mrs Margaret Sekaggya, the UN special rapporteur on Human Rights Defenders, met a delegation of 10 people to discuss the issues they face regarding the Corrib Gas Project. The delegation comprised seven members of Shell to Sea, Kilcommon parish priest Fr Michael Nallen, and two members of the human rights monitoring organisation Table Observers: Sr Majella McCarron and Donal Ó Mearáin. A high court challenge to certain Irish gas tariffs by Shannon LNG could pave the way for Shell to raise the prices it will charge for gas from the Corrib gas field in Mayo. 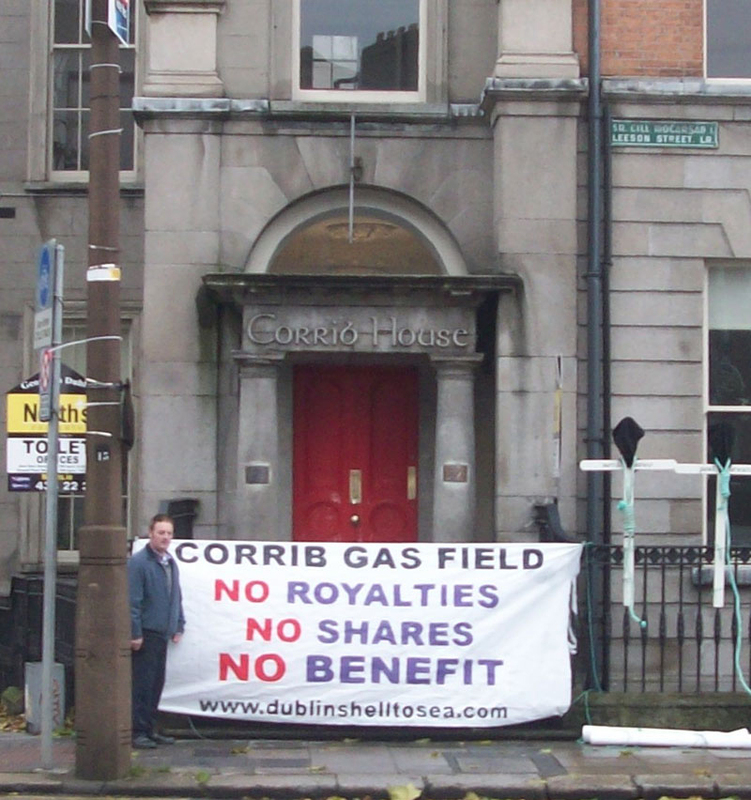 The rising bill on the Corrib Gas project is to top almost €3bn before the end of next year, new figures show. A stalwart group from Shell to Sea in Mayo do not let Shell forget Ken Saro-Wiwa and his eight comrades who were judicially hanged 10 November 1995. The rising bill on the controversial Corrib Gas project is to top almost €3 billion before the end of next year, new figures show. A United Nations special rapporteur has criticised overcrowding in jails and the lack of a complaints procedure in Irish prisons. Margaret Sekeggya, a Ugandan magistrate and special rapporteur for Human Rights Defenders, was in Ireland this week to evaluate the situation of those who promote and defend human rights. 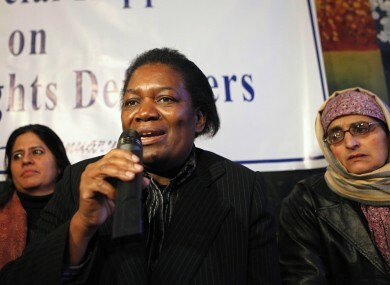 Ms Sekeggya, who met Minister for Justice Alan Shatter during her visit, said cell conditions, sanitation and “slopping out” in Irish prisons had already received “international condemnation” and had been deemed “cruel, inhuman and degrading”. UNITED NATIONS SPECIAL Rapporteur on Human Rights Defenders, Margaret Sekaggya, has said she is concerned about the challenges faced by those protesting the Corrib Gas project in Mayo. Sekaggya was speaking in Dublin today at the end of her five day visit to Ireland. The special rapporteur met with a delegation of ten people on Wednesday which included seven members of Shell to Sea. She said she was concerned about “the situation and challenges faced by defenders and activists defending the right to the enjoyment of a safe, clean, healthy and sustainable environment, particularly those peacefully protesting against the Corrib Gas project”. “There is tangible frustration amongst local residents who are standing up for their rights and feel powerless, isolated and have lost trust in public institutions”, she said. On Wednesday, Mrs Margaret Sekaggya, the UN Special Rapporteur on Human Rights Defenders met with a delegation of ten people to discuss the issues they face with regard to the Corrib Gas Project . The delegation comprised seven members of Shell to Sea, Kilcommon parish priest Fr. Michael Nallen and two members of the human rights monitoring organisation Table Observers, Sr. Majella McCarron and Donal Ó Mearáin. Mrs Sekaggya is visiting Ireland in order to evaluate the situation of human rights defenders in the country and will present a report with her findings to the UN Human Rights Council in March next year. The Shell to Sea Submission to Mrs Sekaggya is available here and Maura Harrington's personal statement is available here.